Learn how to make your own sushi. Embrace a new skill- the most memorable class you’ll ever take. We’ll teach you everything you need to know. Impress your friends and clients. Free yourself from the restaurants. Or just for fun. 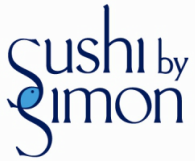 Sushi by Simon is a website devoted to making sushi in New York City. Our main offerings include: private in home instruction by a NYC Sushi Chef with lessons on how to How To Make Sushi in NYC, and a selection of Sushi Gift Sets and baskets for friends and family.